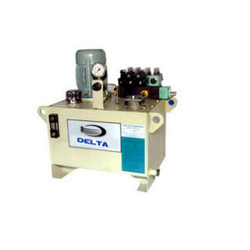 Our Hydraulic Power Packs are widely used in the transfer of hydraulic fluids under High Pressure. This hydraulic power pack is most appropriate for diverse operating apparatuses such as hydraulic work over units in servicing oil and gas wells. Our durable hydraulic power presses and high pressure hydraulic power packs are available in different capacities ranging between 15 liters to 1000 liters. Looking for Hydraulic Power Packs ?